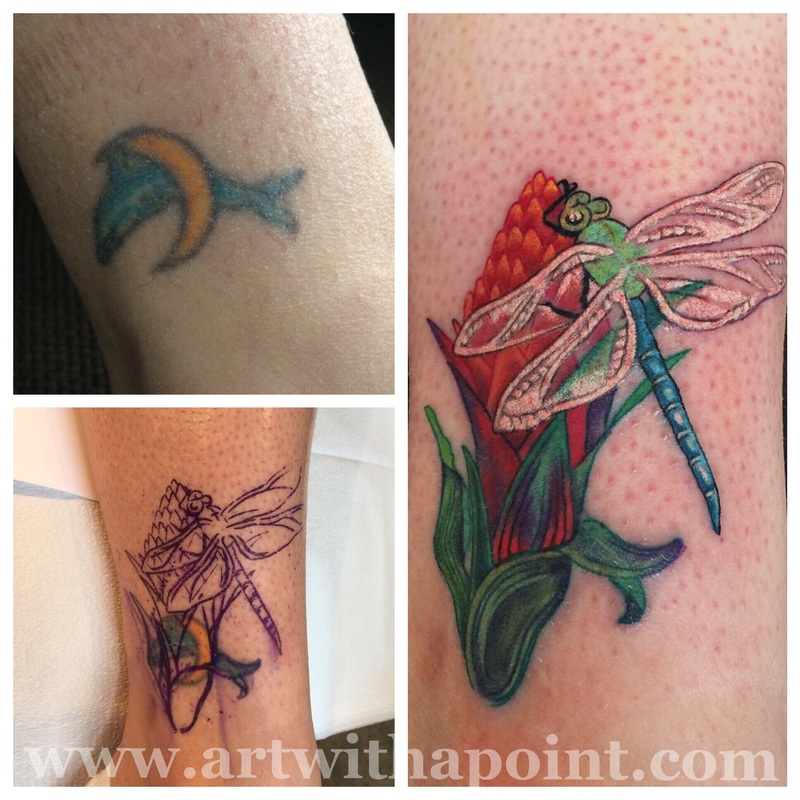 Today we turned an old dolphin into a brand spanking new vibrant flower and dragonfly! 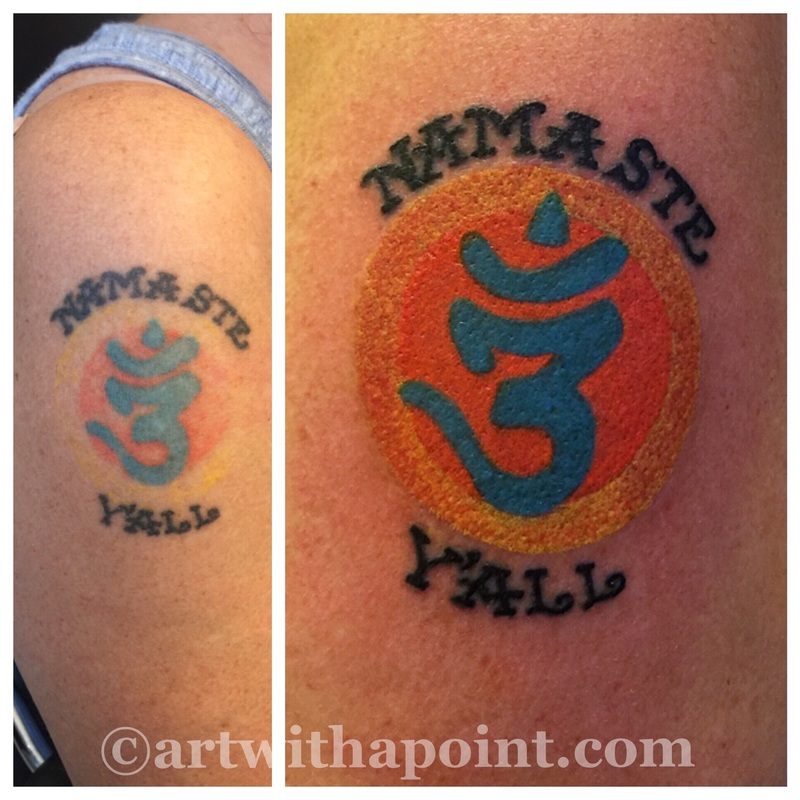 Before and after of an awesome, colorful custom tattoo coverup! I just finished reworking this old tattoo… And I’ll go with the sentiment. 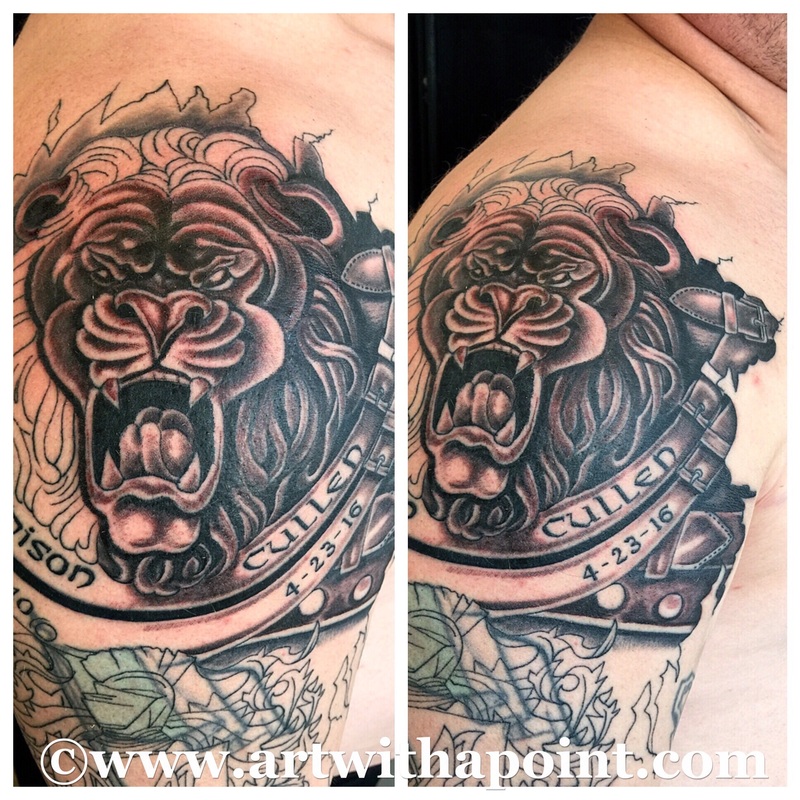 Tattoos are a commitment, and they’re only as permanent as the passing times in our lives. 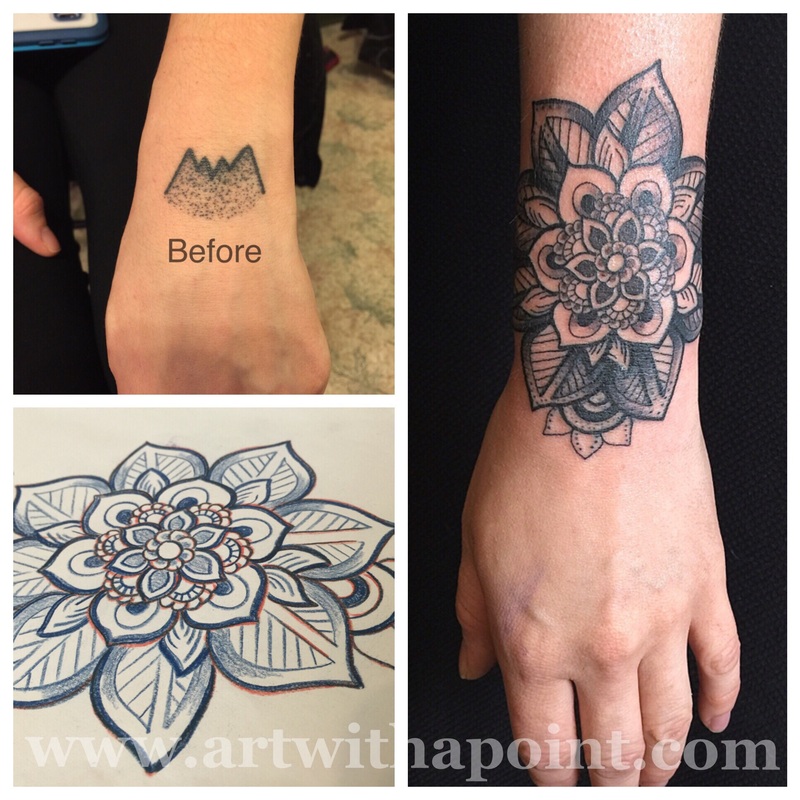 Coverups are a way for tattoos to change and grow with us! 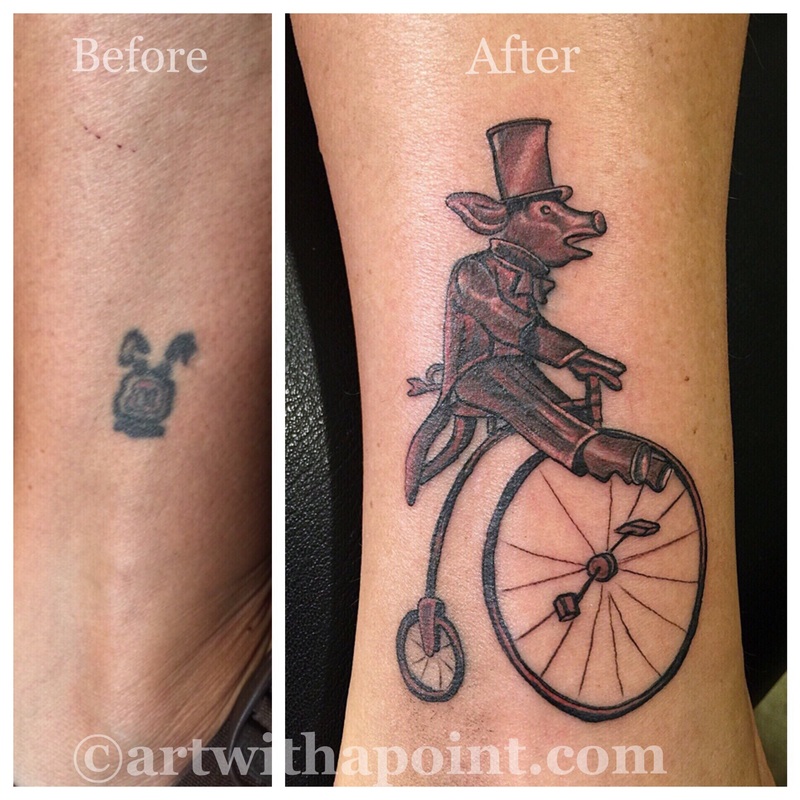 When considering a coverup, I recommend temporarily forgetting it’s a coverup. 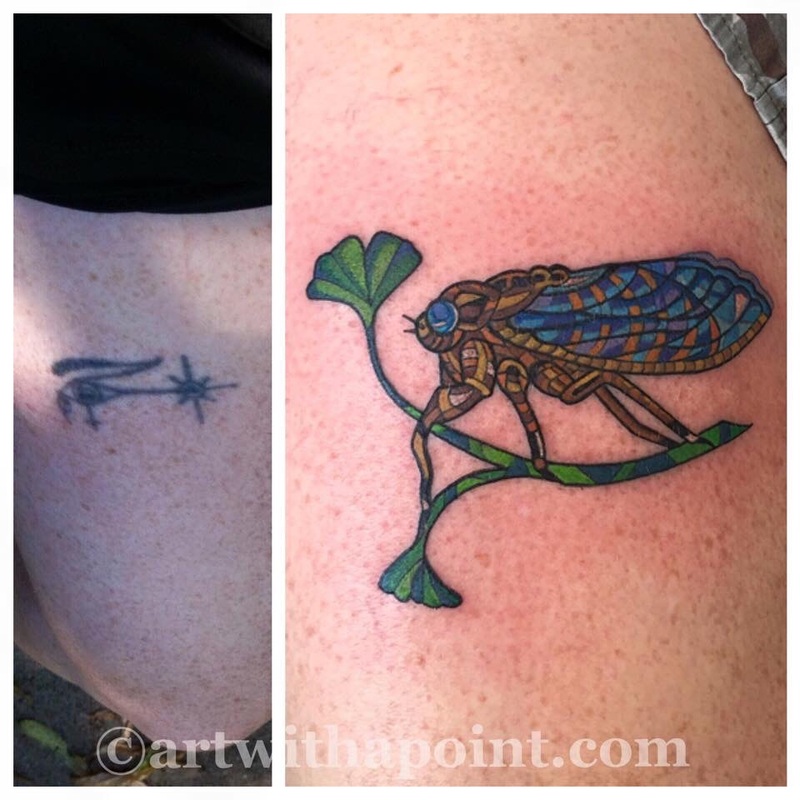 Think of two or three ideas that you’d love to have if you were getting a brand spankin’ new tattoo. 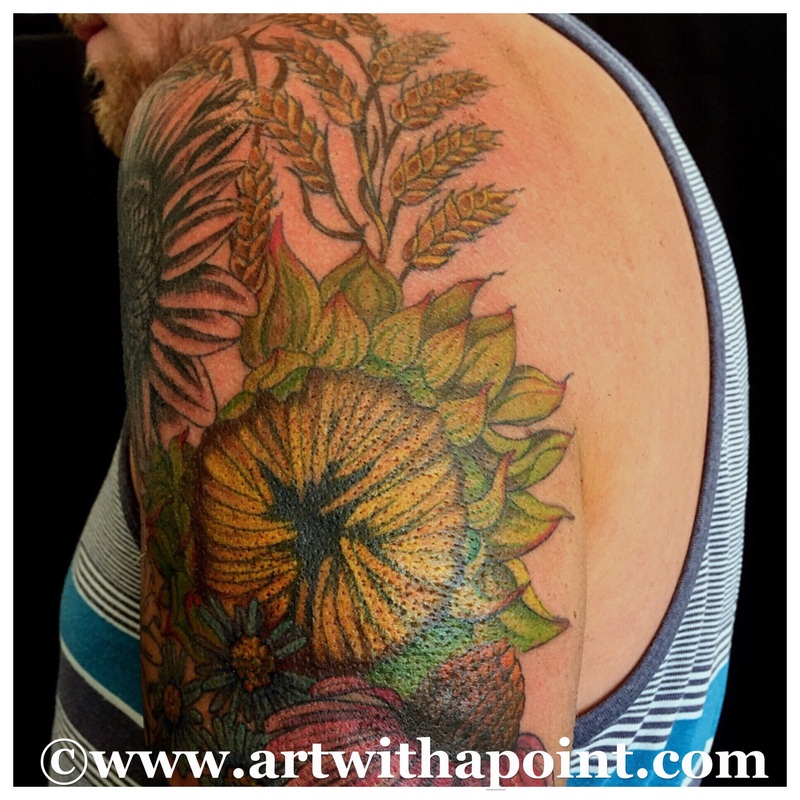 Email me with questions or to set up a consult and we’ll discuss and plan the piece. Once we have the concept in place, the key to a quality coverup is flexibility in size, detail, texture and color – these allow us to transition the old into the new! 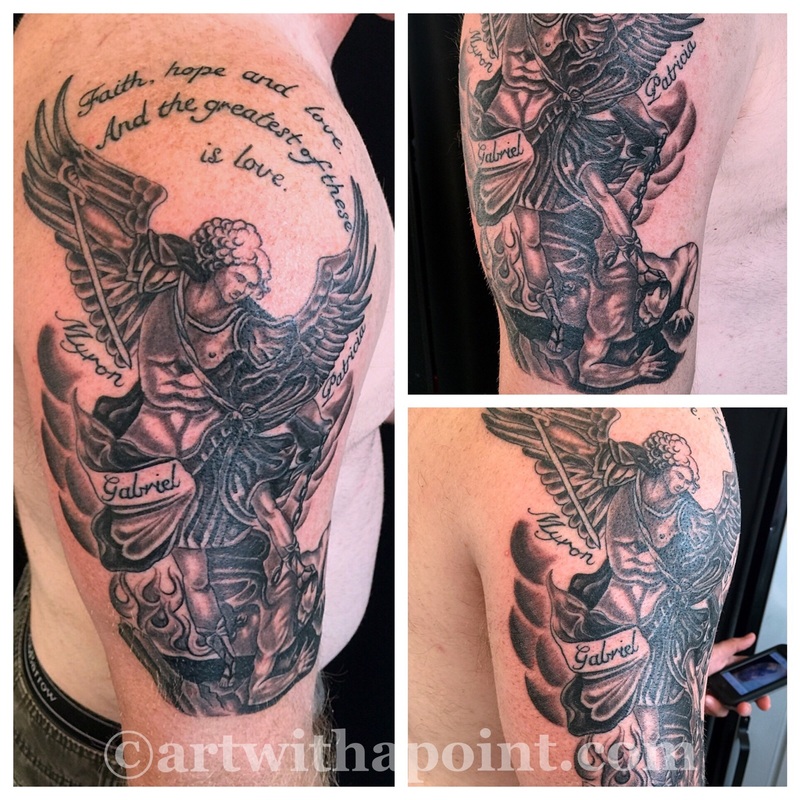 A little archangel action! Also, a coverup! 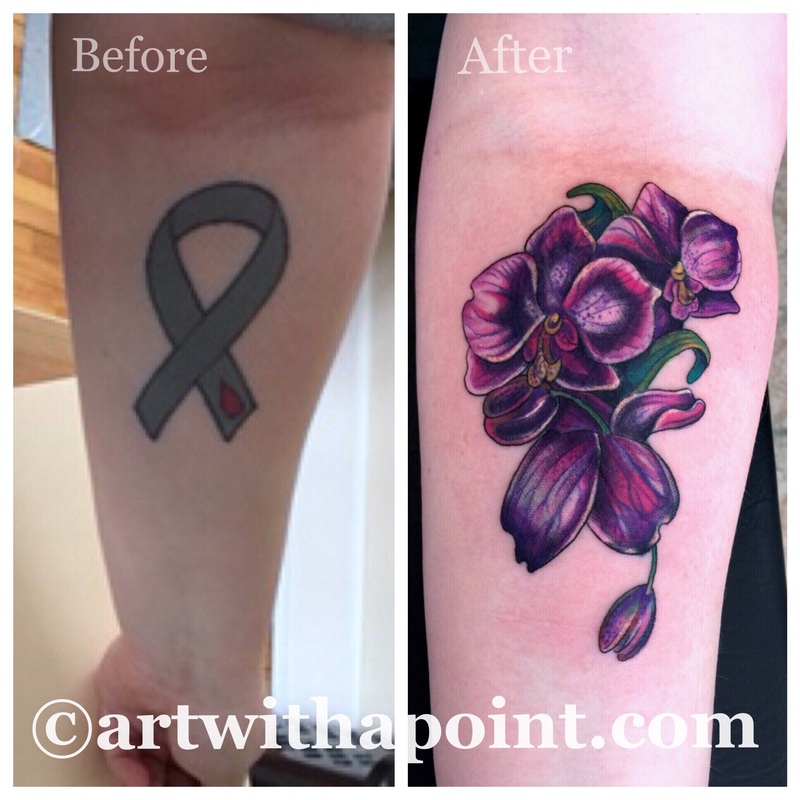 My preference is to use color to create the most effective coverup, but with the extensive size, detail, texture and shading – this black and gray coverup came together beautifully. In progress! A solid start on a custom family tree, incorporating multiple influences from family to nuances of Minnesota – and a coverup! 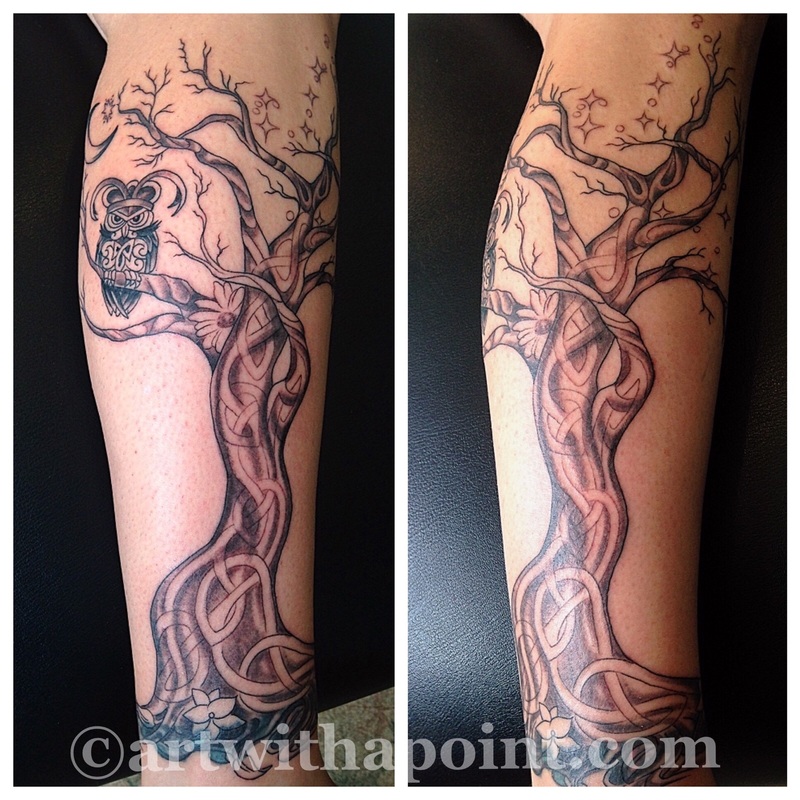 When complete, this tree will have a subtle Celtic knot work texture in the bark.